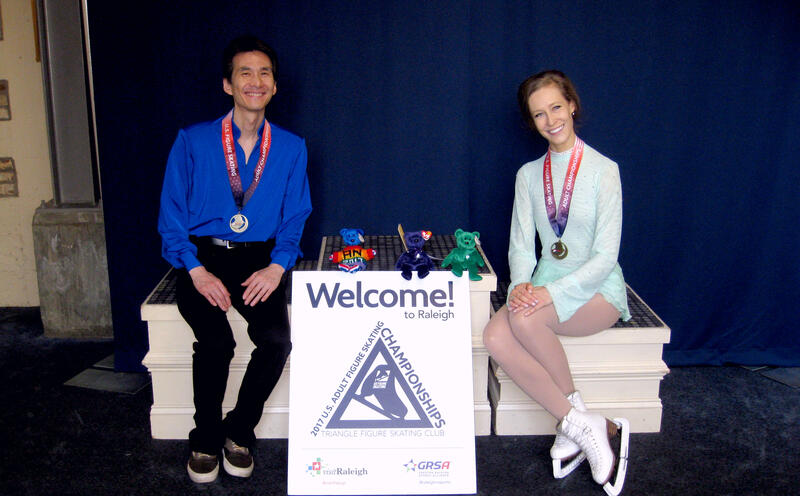 The premier international Grand Prix event in the United States is Skate America. 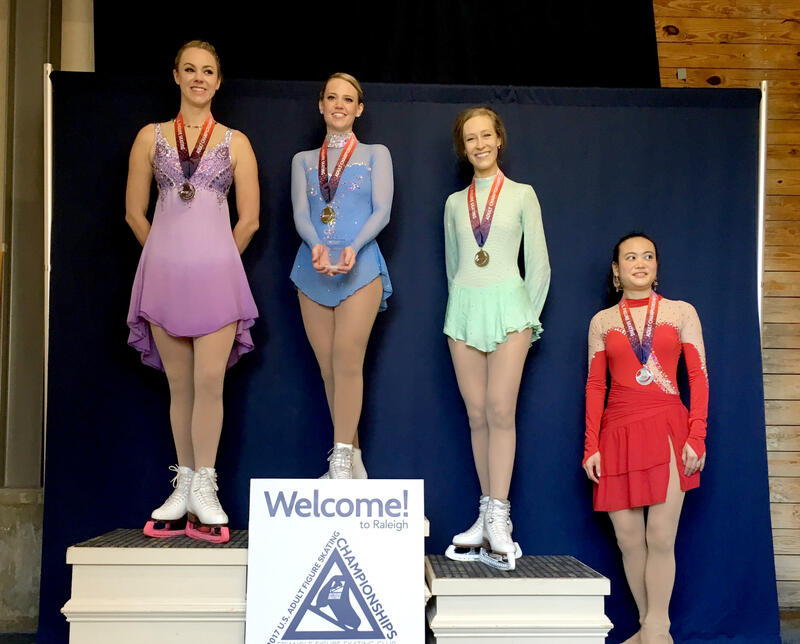 This year Skate America takes place November 24-26, 2017 in Lake Placid, New York -- within manageable driving distance of NYC! 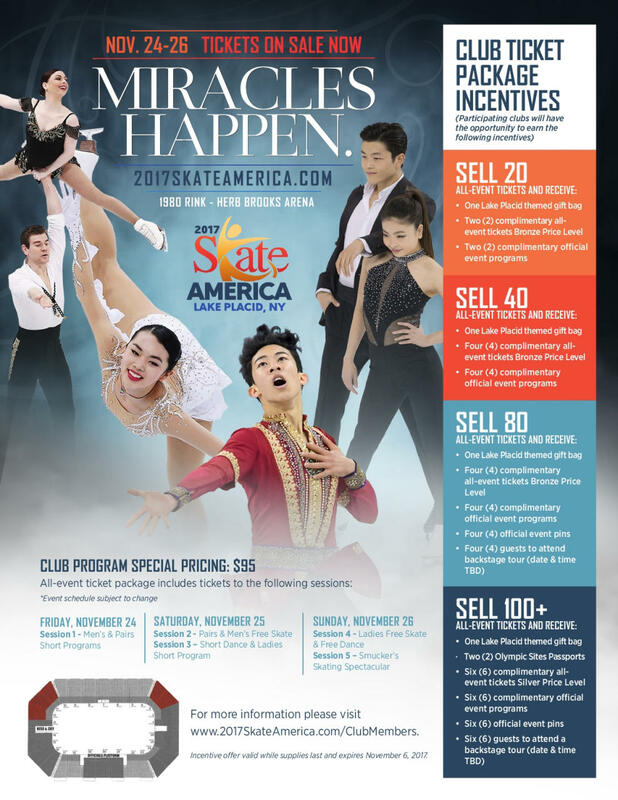 Members of any US Figure Skating club can purchase all-event "bronze" seats (Section 3 and 11 of the arena) for just $95 -- a savings of $30 per all-event ticket, by going to 2017skateamerica.com/clubmembers and entering the coupon code SKA14. Celebrate the 2016-17 season with good friends and club officials! New this year! 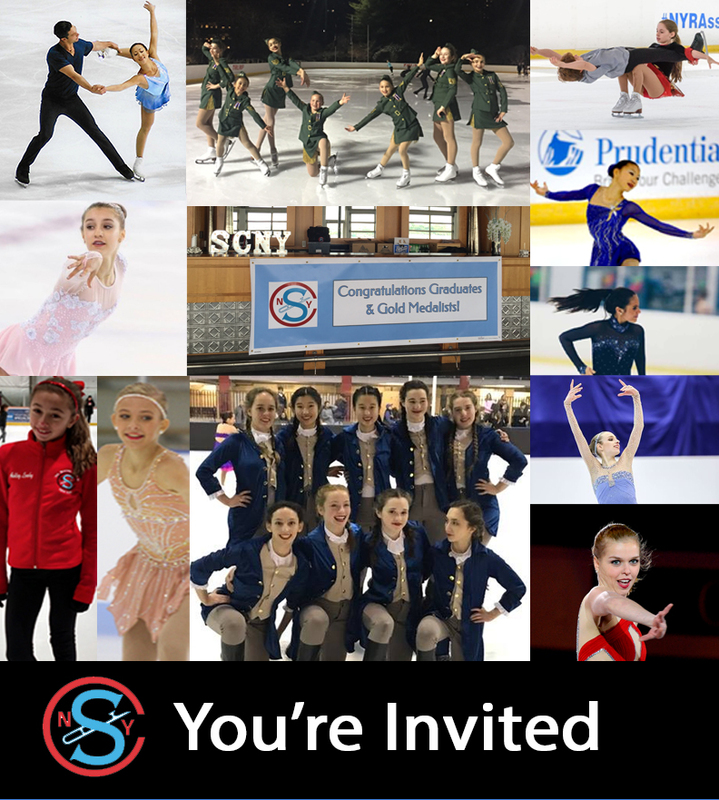 The exhibition will include a group number celebrating our 2017 regional competitors during which each skater is announced and featured in a step-out. If you are interested in participating, please contact Stacie Krinsky. $25 for Adults and $20 for under 18 after May 16th and at the door. The twenty-third annual U.S. Adult Figure Skating Championships concluded Saturday, April 22nd in Wake Forest, North Carolina. 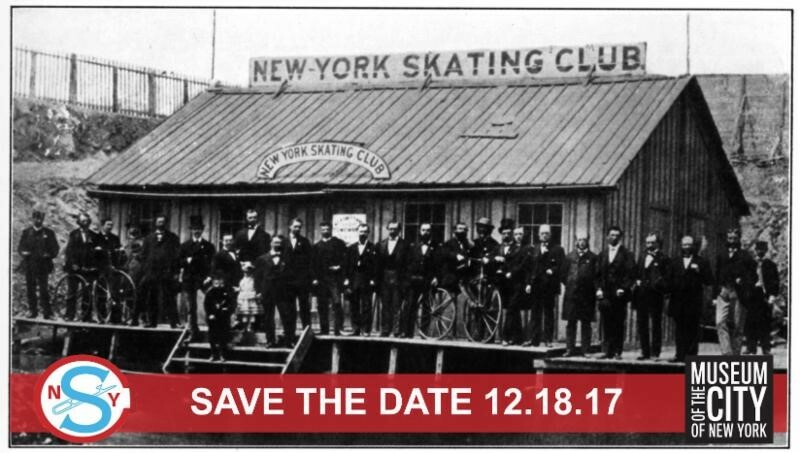 Seven skaters attended from the Skating Club of New York, competing in ten events, winning medals in four. 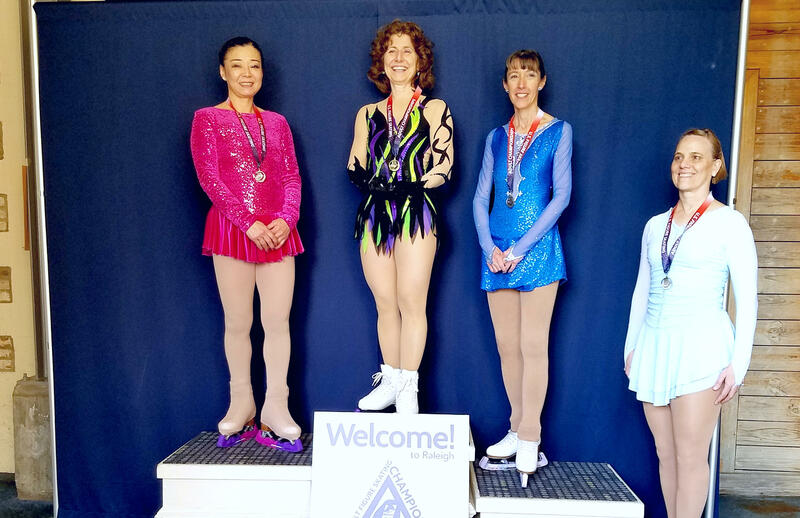 Congratulations, all adult skaters! 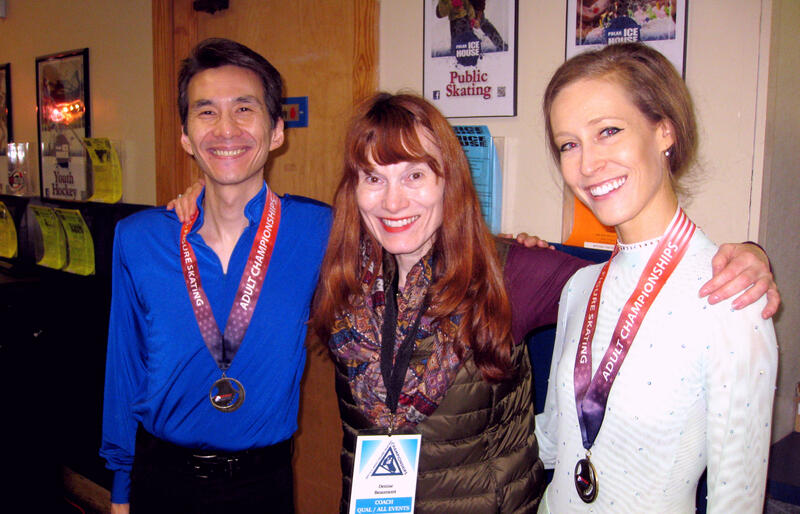 Narrowly missing the podium were fellow SCNY members Rosemarie Coyle, Stephanie Hao, Tracey Rhodes and Tara O'Neil. […]this story does not end with her winning any championship medals. It doesn’t have to. In fact, this story does not end at all. 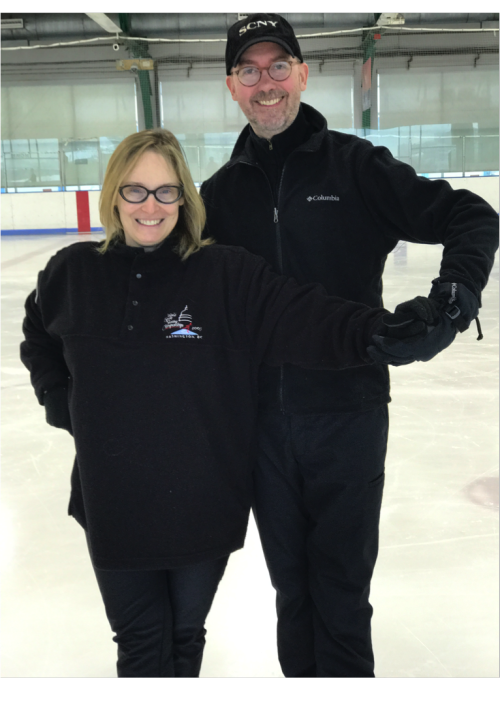 Because Susan is still figure skating several mornings a week – simply because skating is still the best way for her to unfold a certain beauty and transcendence within her life that she cannot seem to access in any other manner. Getting back on the ice after 20+ years didn’t feel like a big hurdle. It’s not exactly like climbing K2 or overcoming a stutter. It’s not even in the realm of risk Liz took when she left everything and traveled the world for a year to write her bestseller. Actually, I was a little embarrassed that people might laugh at this so-called challenge. I started skating when I was five years old and competed until I was 16. 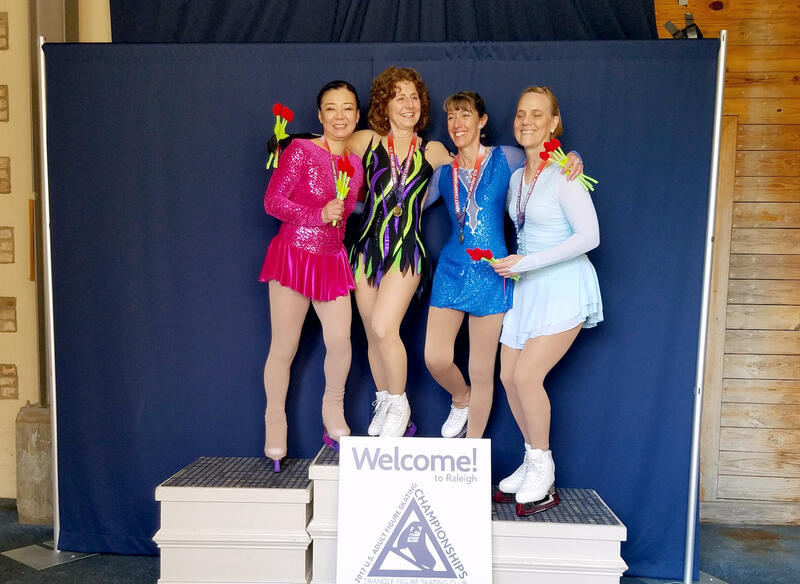 I loved it, but was tired of the early-morning practices, hated doing patch (figure eights), and knew that I was not headed to Nationals, let alone any Olympics. So I gave it up and thought I was done with the sport. However, returning to the ice has been cathartic and life-changing in ways I couldn’t have expected – both personally and professionally. If you ever see me walking into the New York office on a Tuesday or Friday morning with a huge smile on my face, it’s because I have just come from the rink. I love the feeling of gliding and flying that I get from skating. As soon as my blades touch the ice, I instantly feel better. 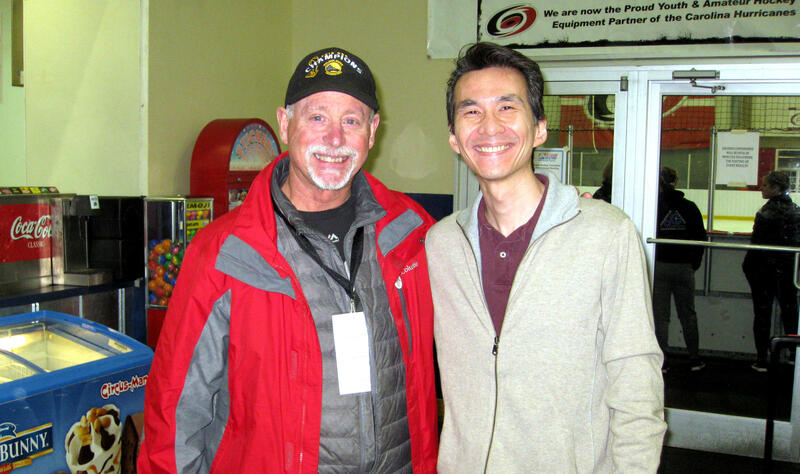 I also love the camaraderie of skaters with whom I share the ice – from ages 9 to 90. Seriously, there is a judge who is 90 years old who skates regularly, as well as a Nobel Prize winner in physics. 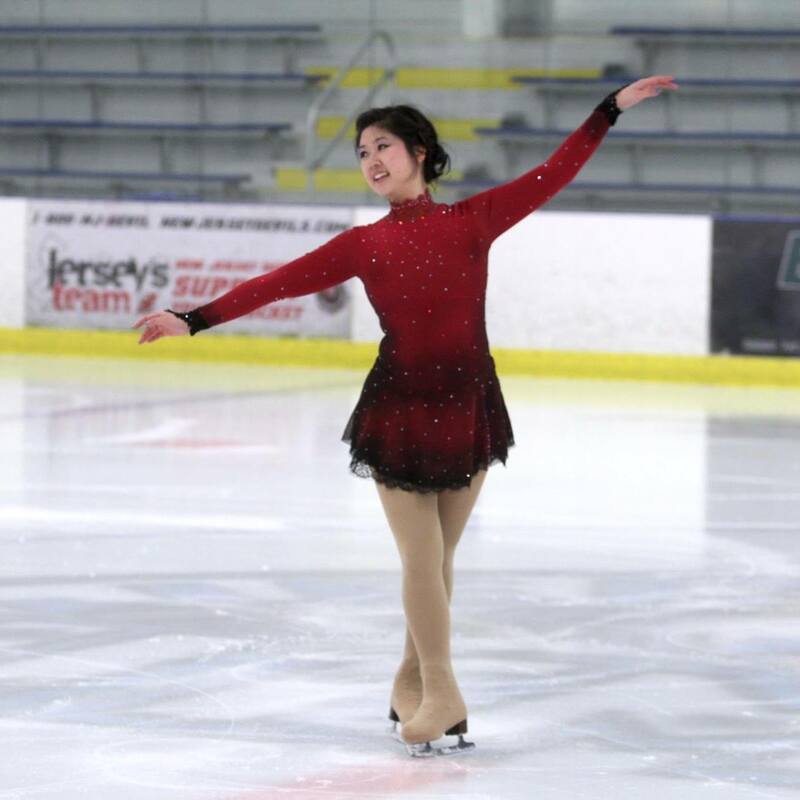 Figure skating can seem effortless and elegant, but it takes tremendous strength, agility, and frankly, some acting ability to be a skater. And being a media executive takes some of those same skills as well. I spent most of my media career at Condé Nast working at Vanity Fair, GQ, Glamour and Allure. But during my time as an editor at Harper’s Bazaar, I remembered that the Hearst offices were located near a skating shop in midtown Manhattan where I bought my ice skates as a little girl. One day, I stopped in after work and bought a far-too-expensive pair. Still, I couldn’t get myself to the rink. It seemed daunting. I was worried I wouldn’t be able to skate at all. It may sound clichéd, but after 9/11 happened, I thought I needed to do something I loved, something that would get me out of my head, something that would get me moving. 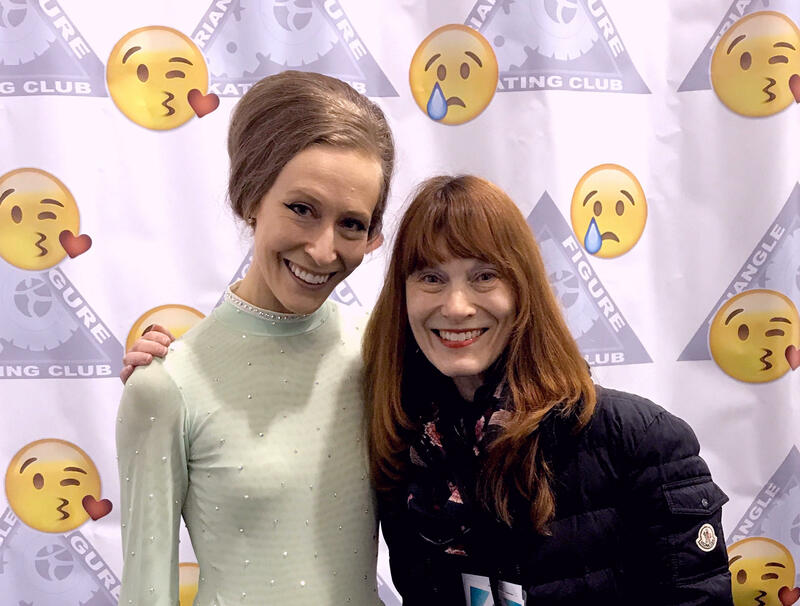 Those sentiments finally got me to Sky Rink at Chelsea Piers, where I met my coach and my ice dance partner a few weeks later, and started to skate regularly. Getting back on the ice has made me less afraid of facing challenges. 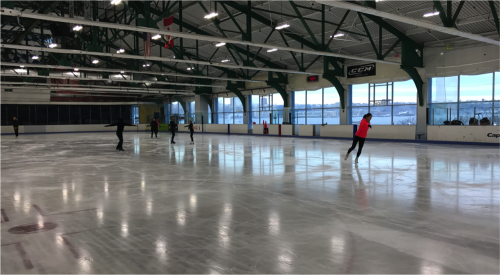 My return to skating as an adult, especially as an ice dancer, emphasizes strategy and teamwork. It’s impossible for me to think about work or anything else when I skate. Ice dancing requires a great deal of focus; I have to be in the moment and be aware of the space around me. There is no room for my mind to wander because I could trip, fall, and hurt myself and my partner or coach. Skating also helped with goal setting. Just like those we set at Yahoo, I want to pass different test levels in ice dancing. I have been working on my pre-silver ice dances for a while; I keep failing the test for a dance called the European Waltz. I’m determined to pass – even if I have to wear down those judges and test every month until they get sick of me. It is important to find your passion, something that makes you get up too early, stay up too late, search online for any story on the topic and feel giddy when you find kindred spirits who are also obsessed with your passion. Passion can be used as a form of what I call “Positive Procrastination.” You know how sometimes it helps to put one story or project aside and work on another? That is Positive Procrastination – distraction in a good way. Skating also brings me stress relief. It feels as if my brain completely switches to another frequency. I believe my passion makes me better at my job. When I skate before work, I come to the office with a clear head. Skating has pushed me to face certain fears, such as stage fright or speaking in public – something I have to do more at Yahoo than I have ever done before. Also, it has allowed me to become more flexible and understanding. Working with a partner requires that you do your best to not let the other person down, but it also helps you to understand that mistakes can happen no matter how much you have prepared (all good lessons that can be applied to any job). 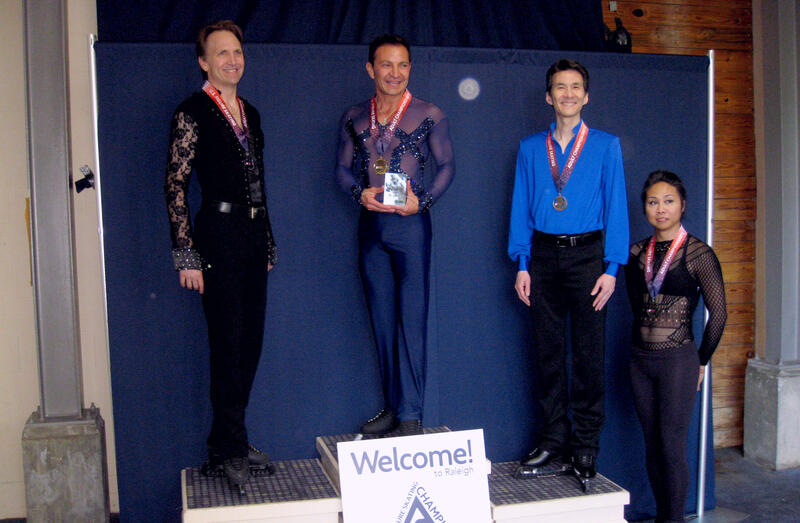 Ultimately, my passion for skating has taught me to bring grace and resilience to both the ice and the office. And there’s that whole “You fall, then you get back up” metaphor. Trite but true. 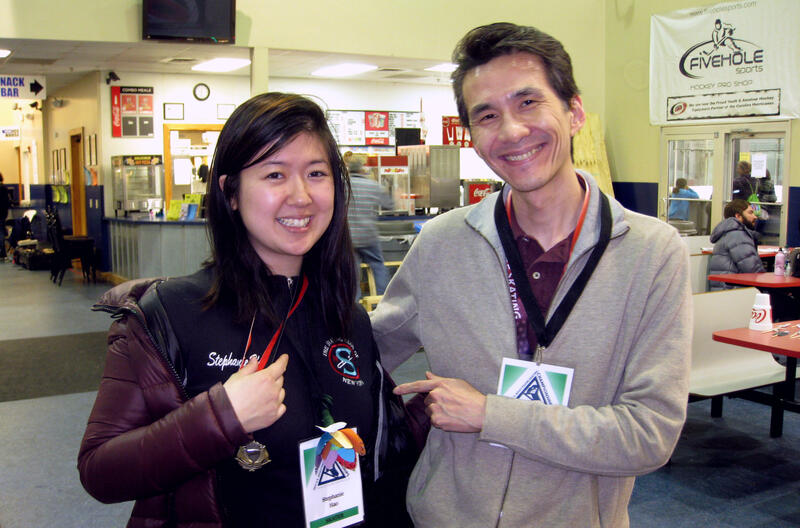 “[…]this story does not end with her winning any championship medals. It doesn’t have to. In fact, this story does not end at all. 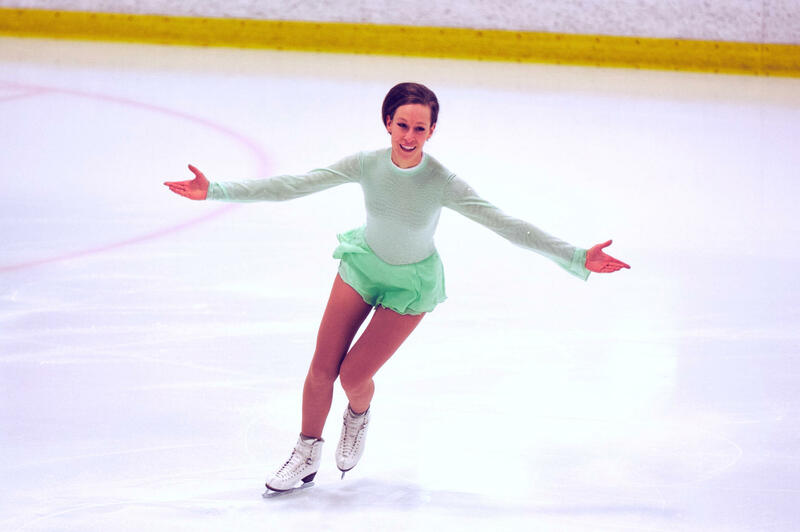 Because Susan is still figure skating several mornings a week – simply because skating is still the best way for her to unfold a certain beauty and transcendence within her life that she cannot seem to access in any other manner. It is creative living that I have also found at Yahoo. I hope you find your passion and that it inspires you both in your work and, most importantly, in your life. This article is republished with the permission of Yahoo! Inc.